Grant Village, named after president Ulysses S. Grant who signed the law which established Yellowstone as the world’s first national park, was completed in 1984. The lodging complex includes 6 two-story buildings each containing 50 rooms. All rooms have private bathrooms. Also located in the area are two restaurants with lake views (one full menu and one specializing in a pub-style menu including a selection of burgers; beef, bison, chicken and black bean), a lounge and a small gift store. 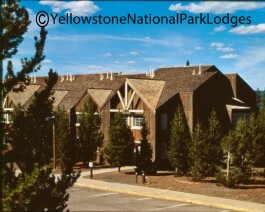 The village is situated on the southwestern shore of Yellowstone Lake, approximately 20 miles from Old Faithful, and is the nearest location to Grand Teton National Park.